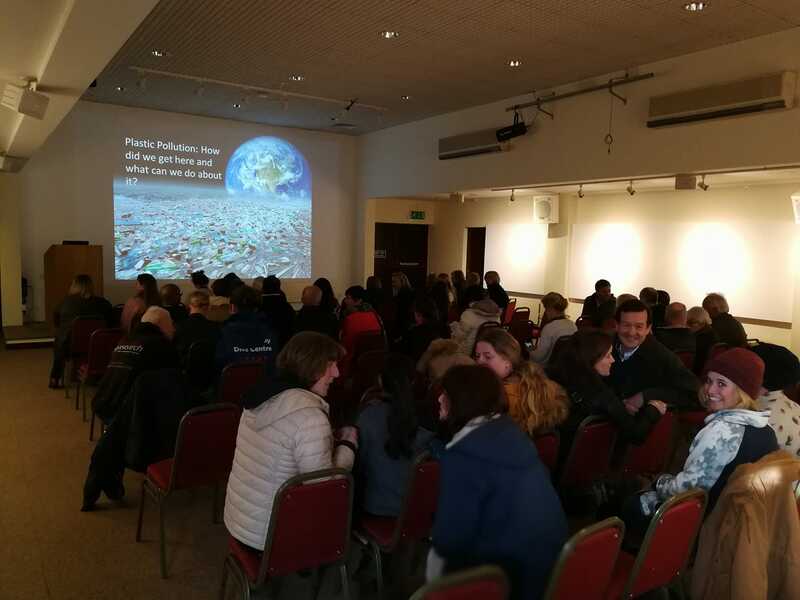 It was all a bit last minute.com, but thanks to Tiffany from the Durrell Conservation Centre and CEO, Dr Lesley Dickie, we managed to pull together a presentation on plastic pollution and the way forward. Around 100 people turned up which was fantastic given the short time frame. Hopefully we will be back in the near future to do some more work with Durrell and possibly run a screening of the filom ‘A Plastic Ocean’. Thanks to everyone at Durrell and the audience for such a warm welcome and such brilliant questions.